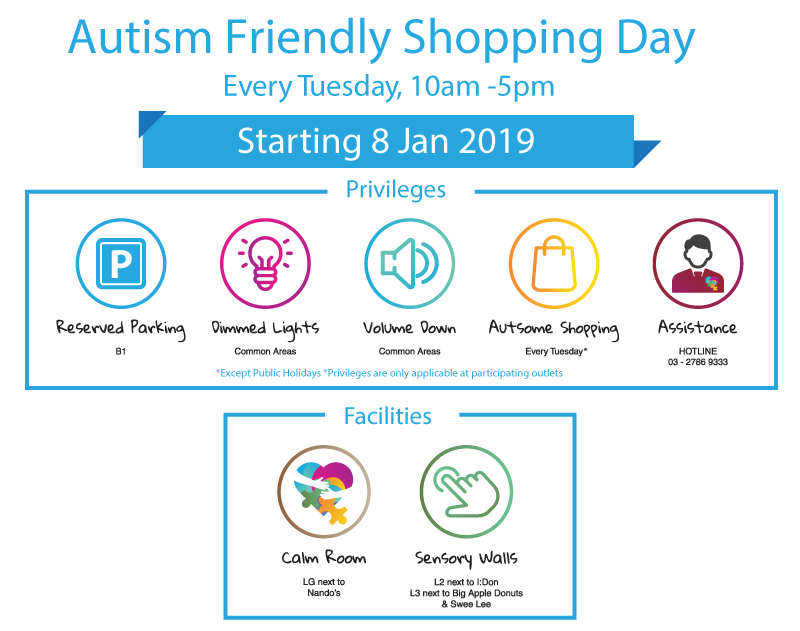 2019 is the year that Sunway Putra Mall aims to support & create more awareness on Autism Spectrum Disorder (ASD). 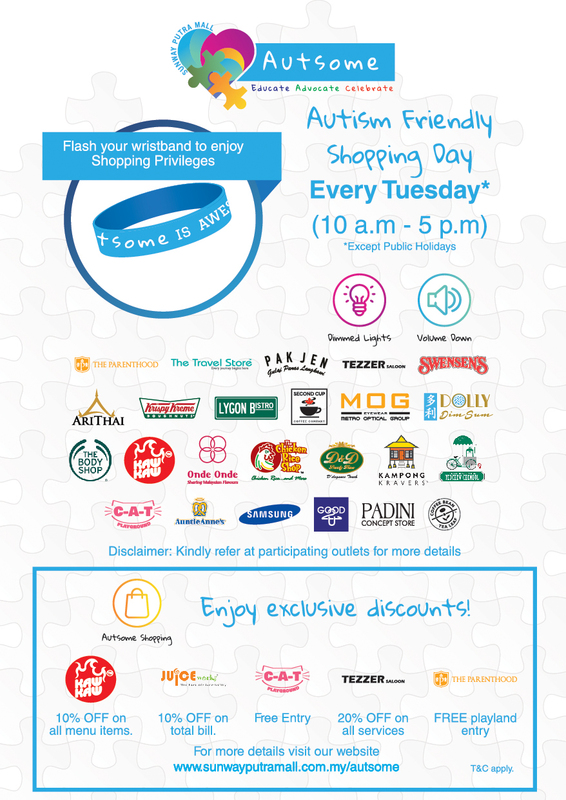 In our effort to support the autism community and their families, we aim to provide them with an inclusive and comfortable shopping experience, simultaneously increasing public’s understanding and acceptance of autism spectrum disorder. It simply means, Autism Is Awesome. Because every individual with Autism is Always Unique, Totally Intelligent, Sometimes Mysterious. Click HERE to REGISTER as our Autsome Member!